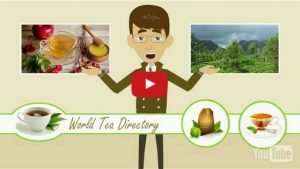 Welcome to the World Tea Directory. Our aim is to create the best tea website on the web encompassing everything in the world of tea. From the field to the cup, we aim to provide a resource for all people interested in tea. From the tea expert or tea business to the people that just love to drink it. Whether you are a Tea Sommelier, Tea Expert, Tea Grower, Exporter or Distributor of Tea, a government or other Tea Organization, own a Tea Room or Tea Shop or you are someone looking for the best tea brands selling the best tea in the world, you should enjoy what you find in our tea website. From the field to the cup – all are welcome! Tea is the second most consumed beverage in the world after water. It is renowned for its health benefits and has become an intrinsic part of many cultures all around the world. It is no wonder then that people are constantly searching for the best tea in the world and are interested in the art and craft of tea. Tea is part of our history and culture. The story of how tea was taken from the fields of China to be cultivated in India is fascinating. For All the Tea in China is a wonderful book that tells this remarkable story in a very engaging way. Reading this book was a major inspiration for me deciding to create the World Tea Directory. Now tea is grown in India and Sri Lanka (Ceylon), in Iran (Persia) and Kenya, Vietnam, Thailand, Indonesia, Japan, Turkey, Argentina, and even in the UK and the USA as well as a host of other countries all around the world. Tea was, and remains, an important part of world trade. The story of how it spread along the trade routes of the world to be enjoyed by so many people is another important part of its historical importance. There are many brands of tea and even more types of tea. From green tea, Oolong tea, red or black tea to white tea. People use other plants to create herbal teas. People serve it in many different ways using tea bags, adding tapioca to create bubble teas and using tea infusers, tea pots and tea strainers to brew loose leaf teas. In short the world of tea goes beyond just its fabulous, refreshing taste and its wonderful health benefits. It is a massively important part of the economies, and therefore the welfare, of millions of people and countries around the world. This tea website started off because the founder, a web designer, was working for a tea business which struggled to find other tea businesses on the web in order to exchange information and create trading relationships. Our greatest delight is introducing tea growers to tea suppliers especially when it involves single plantation teas being supplied directly to small tea outlets run by tea enthusiasts. All are welcome and we will list your tea business or organization for free – just complete the form here. Don’t worry – your listing in the World Tea Directory will always remain free of charge. 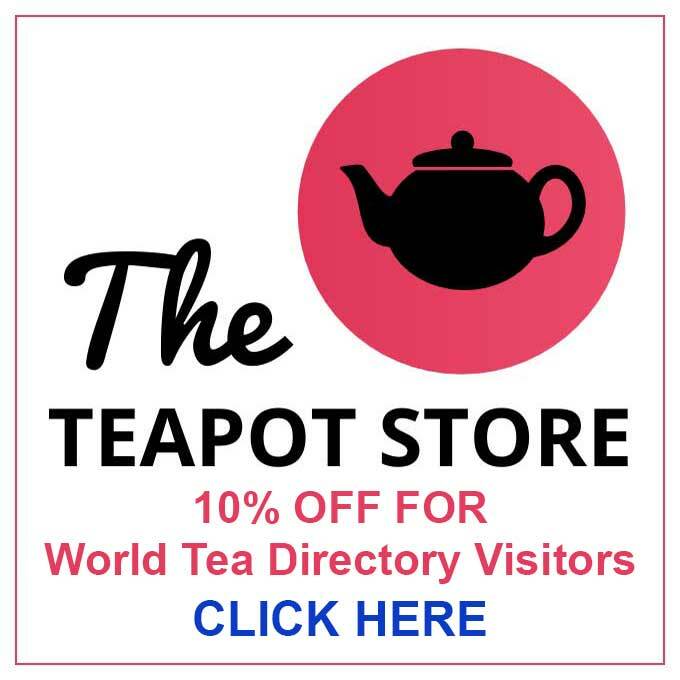 Our tea website not only lists tea businesses from tea plantations to tea shops and tea rooms, but also features world tea news, articles and even press releases. Our news and articles section will be of interest to a tea expert, tea sommelier and everyone in the tea industry. It is also dedicated to tea enthusiasts. We welcome anyone with something to say about the world of tea to send in articles, press releases and news to add to the information available in this tea website. This is also a free service. Just complete the form here. We feature an events calendar devoted solely to Tea Events. We welcome anyone to send in details of their tea event. Maybe you are having a tea tasting at a tea shop or tea room. Perhaps you are promoting a world tea convention or conference. All are welcome on this tea website. Complete this form to send us details of your tea event. So if you are looking to connect with Tea Businesses and Organizations or if you are a Tea Sommelier or Tea Expert then you have come to right place. Maybe you are looking for the best tea brands, the best tea in the world or are a tea enthusiast looking for world tea news and information. The World Tea Directory is dedicated to all things in the wonderful world of tea. We are a very small, independent organization and not funded by or associated with any tea business. To cover the costs of hosting and administration of this tea website we might add affiliate marketing systems to the site in the future to help with costs. In this way we will keep to our promise that all listings on the directory are, and will remain free. 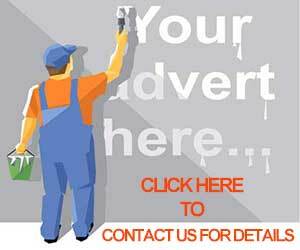 We also feature an ad block in the right column of the website. Promote your Tea Business or Organization using this facility. Your support would be very welcome. We feature this small banner in the footer of the website. Please copy it and add a link to the World Tea Directory to help spread awareness of the site. You will also find us on Facebook and Twitter. If you have any suggestions we would love to hear from you. Contact us here.